I have written an essay in a new anthology of critical work on crime fiction (published this month). 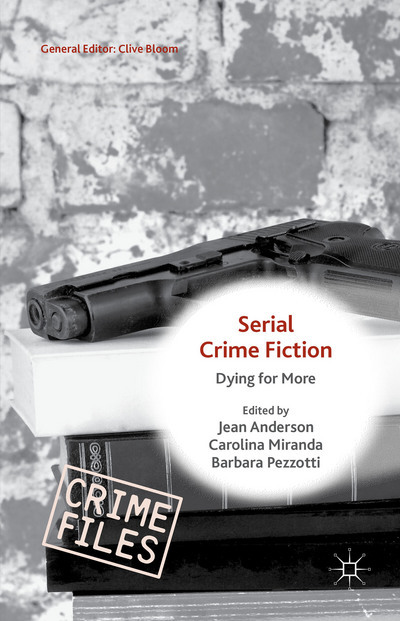 Serial Crime Fiction: Dying for More is edited by Jean Anderson, Carolina Miranda and Barbara Pezzotti and features essays on authors including Arthur Conan Doyle, Dorothy L. Sayers, Sara Paretsky, David Peace, James Ellroy, Maurice Leblanc, Lisa Marklund, Andrea Camilleri and Jorge Luis Borges. My piece is titled ‘The Structure of the Whole: James Ellroy’s LA Quartet Series’. PART I: THE SUM OF ITS PARTS: WHAT MAKES A SERIES? I look forward to reading this Steve.